Yesterday was my mum’s birthday, and in three weeks we’ll be celebrating her again on Mother’s Day. Last month, I got a photo pillow with a picture of London from CanvasPop, and my mum is constantly telling me how much she loves it. She’s super subtle about it, naturally. *wink? * But her obsession has given me so many ideas of what to get her for Mother’s Day. 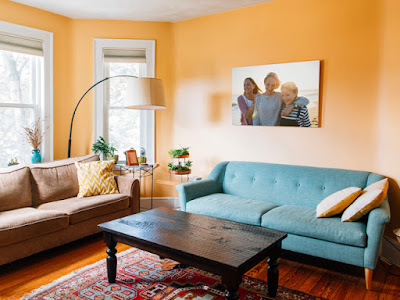 We have a large canvas print from CanvasPop with a picture of two of my nephews that hangs over our TV in the living room. We love looking at it, plus it’s a great conversation piece. People always remark on the great quality and want to know where we got it. My mum has often said she wishes we had a special keepsake that includes a picture of my niece, which has got the gift-giving wheels in my brain turning. Mum loves the canvas print we already have and she loves my pillow, so I know she’d be happy with either. My mum, like so many other mothers, does so much for our family. She’s the heart and soul of our family, and has made countless sacrifices for us over the years. She rarely buys anything for herself and doesn’t do much for herself, so I figure the least I can do is get her something extra special for Mother’s Day. Flowers and a card are well and good, but flowers fade away and die. Don’t you think our mothers - or grandmothers, aunts, sisters, and the other special, hardworking women in our lives - deserve something that will last, something with sentimental meaning that they can keep and enjoy forever? Treat the mother or mother figure in your life to something special this Mother’s Day. Take one of the pictures she loves and turn it into something beautiful like a canvas print, photo pillow, or photo collage. Show her the recognition she deserves and let her know how much you appreciate all she’s done for you. 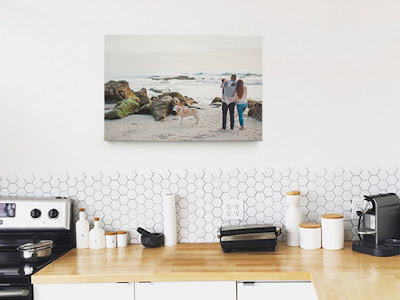 Get started making a beautiful photo gift now! Do you know what you're getting your mother this year for Mother's Day? If you're a mother, what's the best gift you've ever received? What would be your ideal gift? Thank you! I love unique gifts, too. I'd so much rather get someone I love something thoughtful and personal than generic. Plus they do make great 'to me, from me' gifts, haha.